Lori Granger is heiress to her late father’s multi-millions in riches. She spends the money on everything but the one thing she is most generous about spending her money on is charity events. Lori can’t help but donate lots and lots of money away. Maybe that is why before Lori’s father passed away, he set a stipulation on how much money Lori can spend. Lori is visited by Jackson James. He is the CPA that her father’s estate hired to control Lori’s spending habits. Lori is outraged when she learns that Jackson is a babysitter of sorts for her. She can’t go anywhere without seeing him over her shoulder, counting every penny she spends. Jackson informs her that the only way she can get rid of him is if she finds herself a husband. Jackson agrees to help Lori find Mr. Right. 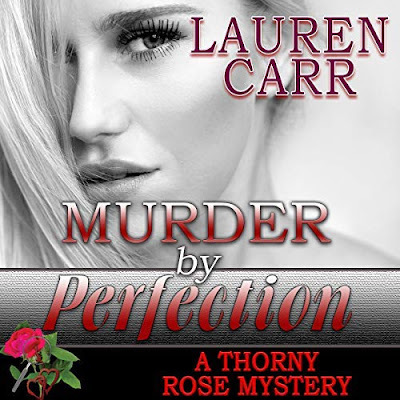 All Lori sees is Mr. Wrong but will she realize that Mr. Right has been standing right in front of her face the whole time? 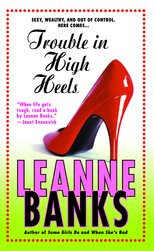 Trouble in High Heels by Leanne Banks is a nice light read. It is one of those books that if you want to get away from your busy life for a little while, you can and maybe have some fun at the same time. I thought Lori and Jackson made a perfect match for each other. Lori was friendly, out-going and lots of fun; whereas Jackson was the by the books kind of guy who needed to loosen up. Leanne Banks will give you more for your buck!